Khorosho Productions: Eva of the Resistance on sale now! 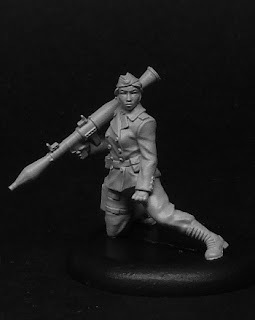 Eva of the Resistance on sale now! 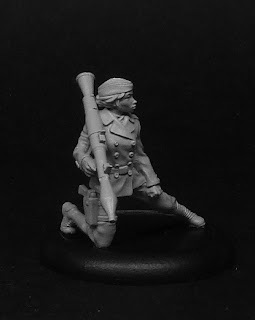 Statuesque Miniatures is pleased to announce the release of Eva of the Resistance, a hero of the struggle against oppression armed with a deadly RPG launcher! 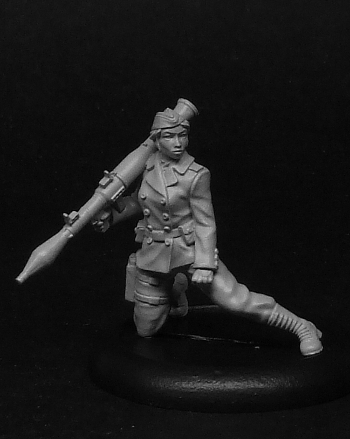 Measuring approximately 32mm unposed, Eva joins our Resistance Fighter range, all featuring interchangeable heads for more variety. 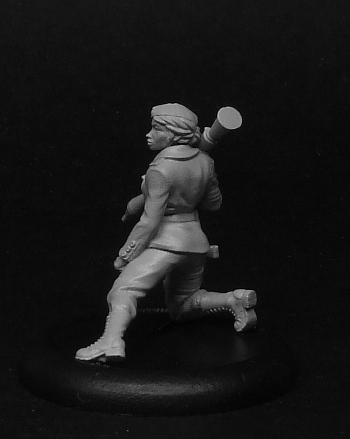 Until March 31st, Eva of the Resistance is priced at the special launch price of £4.50. 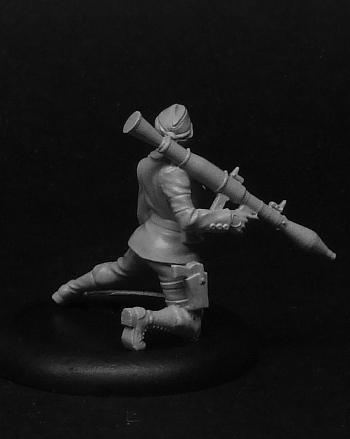 Purchase two Evas for £4.25 each ; three or more for only £4 each! 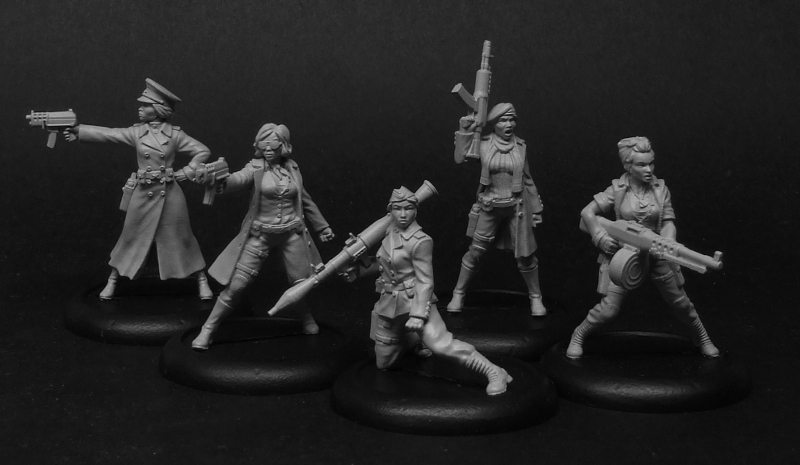 Also until March 31st, every order of SM010 Female Resistance Fighters will recieve a free SMA003 Weapons 1sprue and every order of SM014 Resistance Cell Officers will recieve a free SMA009 Officers Weapon sprue! Please note, due to changes in the Royal Mail pricing structure coming on the 2nd of April, I will have to alter our Postage and Packaging prices to coincide with this. I've yet to decide on the future P&P policy but if you want to take advantage of our current flat-rate postage of £2.50 to the UK, £3.00 to Europe and £3.50 to the rest of the world, now is the time to order! 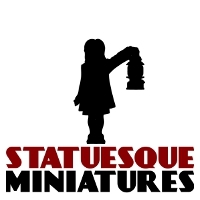 Finally, the Statuesque MiniaturesFacebook page recently passed 500 Likes! While 1000 Likes might seem like a long way off, at the current rate we should reach that target soon, triggering the Statuesque Miniatures Social Media ExtravaganzaPrize Draw! Regardless, the Statuesque Miniatures Facebook page, along with the Statuesque Miniatures Twitter account and the Khorosho Productions blog, is a great way to get the latest news and information on what's happening in Statuesque Towers. Very impressive.Excellent job. What are all your secrets by the way?